The building on the south side of Pencester Road, near the corner of Biggin Street with Marks and Spencers on the ground floor, clearly proclaims that it belongs to the Oddfellows. Evolving from the medieval Trade Guilds, Oddfellows were people from a variety of trades that banded together for common support. A lodge, possibly belonging to the United or Ancient Order of Oddfellows, first met at the Fox Inn, in St. James’ Street, in 1800 ‘to raise a common stock of money in readiness for the relief of the several members in all cases of sickness and death’. Ten years later members of the United Order of Oddfellows in the Manchester area became dissatisfied with the way the Order was being run and broke away and formed an independent Order. Given the name, ‘Manchester Unity’ it soon became officially recognised by Government and many lodges belonging to the United Order and new lodges joined. 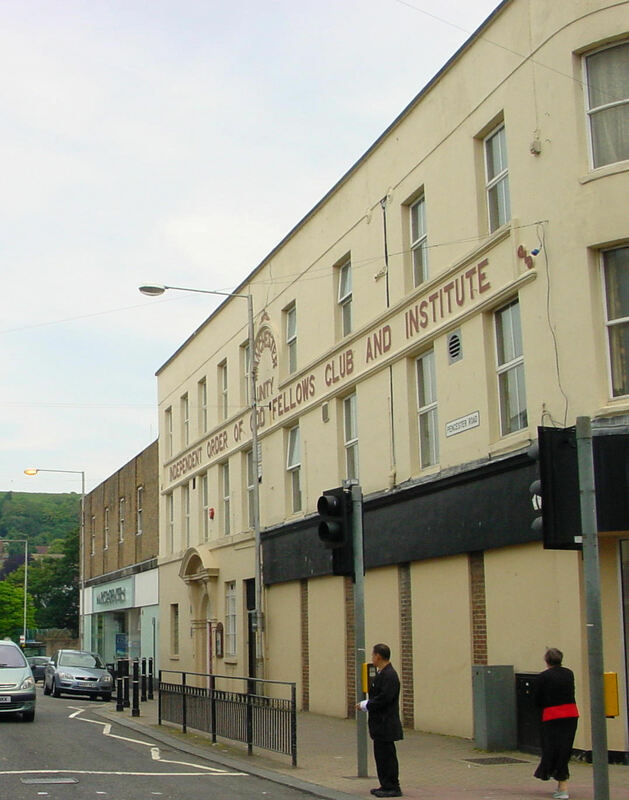 In Dover, the Cinque Ports Warden Lodge, founded on 24 July 1843, joined. It would appear that the Fleece and Fox Orders, of which there were sixty members, stayed with the Ancient Order. In 1846, one of their members, Brother L Epps took over the Three Kings Inn in Union Street, which called for a celebration! Nonetheless, the Ancient Independent Order of Oddfellows still thrived in Dover and a report of 1874 shows that they had 1,000 members. Meetings were held on Monday evenings, at the Fox Inn and also at the Sir John Falstaff, Ladywell, on Wednesdays. Dover’s Manchester Unity, at that time, had 650 paid up members and initially met at various locations including the Wellington Hall in Snargate Street, the Walmer Castle pub in Market Square and at the home of Steriker Finnis, one of Dover’s prominent citizens. However, in 1866, they purchased the Pencester Road premises although they did not move in until 1885. One of the most well know members, at this time was William John Edgerley Lewis, known as the ‘Admiral’. 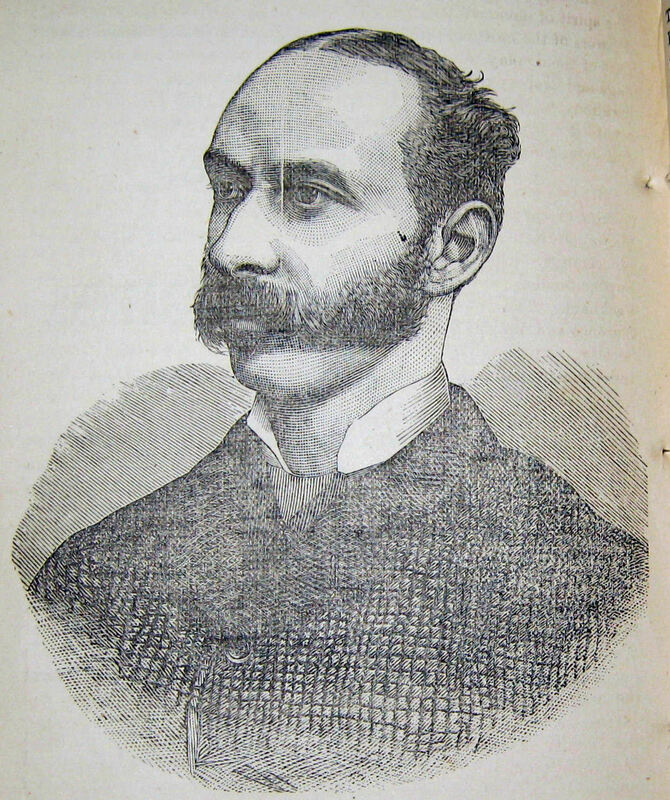 He was initiated into Dover’s Manchester Unity lodge on 1 January 1883. For the rest of his life he zealously devoted his energies to further its cause. Over the next ten years, he was instrumental in introducing over a 100 new members a year and for his hard work, in 1902 was presented with a silver watch. 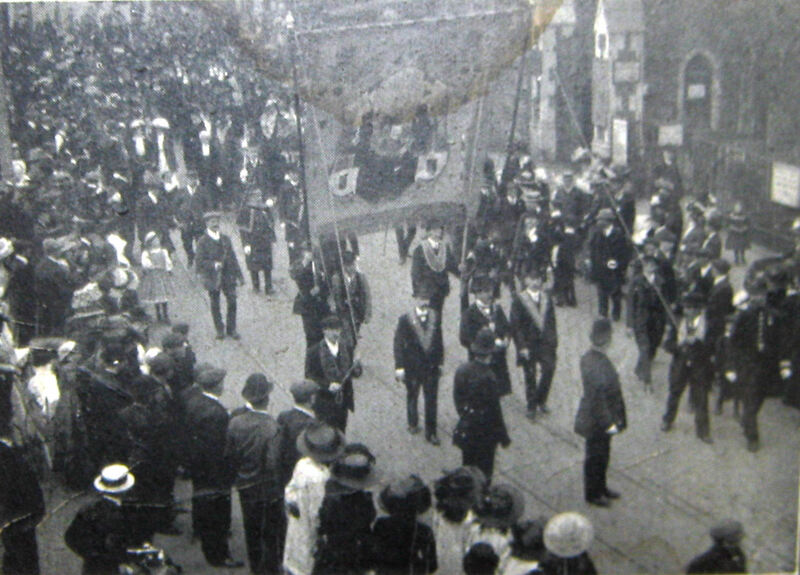 The Annual Moveable Committee of the Independent Order of Oddfellows – the Oddfellows’ Parliament met in Dover in 1887. For a week, about 300 deputies from all parts of the UK attended the debates in the Town Hall. 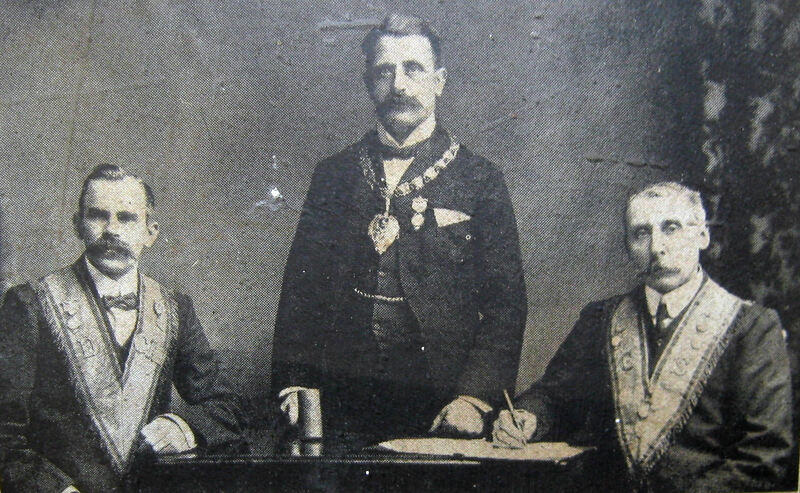 Nine years later, in 1896, Dover’s Edward Lukey was elected Grand Master of the Manchester Unity and on taking the chair, according to the Times, was loudly cheered! His main concern was the number of large corporations that were compelling workers to leave the Unity and join in-house health and welfare schemes. This, he felt, should be outlawed as it tied the worker to the firm and often the schemes were poor compared to what the Oddfellows had to offer. Nationally, at that time the Manchester Unity had 5,037 lodges with 1,035,627 members and their funds amounted £14,767,329. Locally, the Dover District comprised of eight lodges – two in Dover and one in Deal, Walmer, Folkestone, River, Eythorne, and St Margaret’s. Altogether, there were 400 members and the capital was £70,000. During the previous year upwards of £4,000 had been paid out in sickness and funeral benefits. The lodges had subsidiary juvenile branches and female lodges and, in addition, surplus capital. These enable members to purchase their own homes – 300 members were buying their homes and a further 50 had paid off their loans. However, following the introduction of the 1912 National Health Insurance Act many doctors, including all of those in Dover, refused to work with the Friendly Societies. In Dover, all the doctor’s resigned but it is reported that ‘Admiral’ William Lewis took this up and slowly the GPs came round. Injured during World War I, the ‘Admiral’ was in charge of visiting the sick members during the inter-war years. He was also active in as recruiting new members and continued to persuade local doctors to care for them in agreement with the Lodge. ‘Admiral’ Lewis died in December 1941 and many braved the cold weather to attend his funeral at St Mary’s cemetery. The Oddfellows premises were damaged in WWII, but the sick visitors still carried out their duties. Following the introduction of the National Insurance Act of 1946 and the National Health Service in 1948, membership of the Cinque Ports Warden Lodge fell. They wound up the Hospital Workers’ Fund that had raised nearly £70,000 for Dover’s Royal Victoria Hospital since 1917. However, in order to recruit new members’ ladies were accepted in 1951 into the main Order. The Pencester Road premises were refurbished at a cost of over £5,500 and rededicated in June 1961. In the same month a new lifeboat, the Manchester Unity Oddfellows, based at Sheringham, put into Dover. It was manned by an all Oddfellows crew and was met by the Mayor, Cllr. Robert Eade, who was a past master of the Dover Cinque Ports Lodge. From 1968 to when it folded in 2007, the Dover Oddfellows leased-out part of their Pencester Road premises to the Dover Three Links (formerly Black and White Club). In 2003, the Trustees of the Oddfellows Cinque Ports Branch leased Biggin Hall. 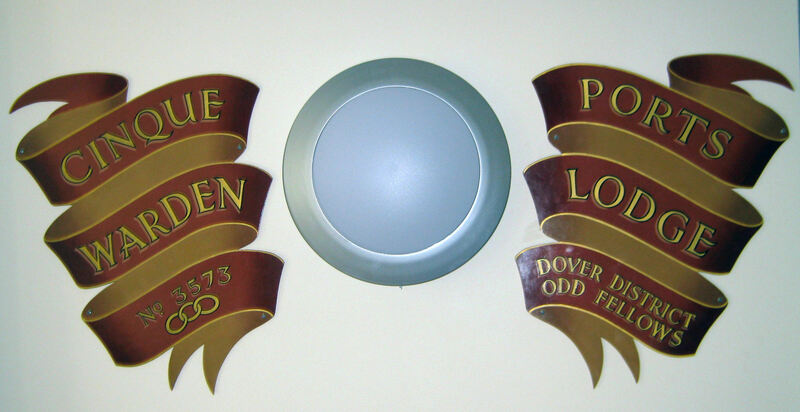 The Oddfellows celebrated their 200th anniversary in 2010 and the Dover lodge underwent a total refurbishment by Jenner (Contractors) to designs by Tom Roberts Associates. Three new flats replaced the top floor Lodge room, kitchen, and an old flat. The Bar of the Three Links Club became part of the Lodge and a platform lift was installed to enable easy access for the less able. The building, in 2011, was nominated for a Local Authority Building Control Regional Award. This entry was posted in Buildings, Oddfellows Building - Pencester Road. Bookmark the permalink.